The Gustavus Choir, the premier choral ensemble at Gustavus Adolphus College as well as one of the nation’s premier Lutheran college choirs, will return from a nine-day, eight-concert tour on the West Coast to present its Home Concert in Christ Chapel, April 3. The Choir’s Home Concert begins at 7:30 p.m. and is free and open to the public. Now in its 77th year, the Gustavus Choir is one of six choirs in an active and highly integrated choral program at the College. Under the leadership of Dr. Gregory Aune, the choir has toured extensively throughout the continental United States, and internationally in Scandinavia, Eastern Europe, Russia, South Africa, Italy, Portugal, and Spain. The choir has also performed for the King and Queen of Sweden, premiered commissioned works by noteworthy international and American composers, and been featured at the prestigious American Choral Directors Association’s North Central Convention. The schedule for this year’s Gustavus Choir tour included stops in Washington, Oregon, and California, as well as a performance at Trinity Lutheran Church and Sauk Rapids-Rice High School. The importance of music in the Gustavus undergraduate curriculum has long been recognized. Nearly half of its more than 2,500 students register for courses in theory, history, appreciation, pedagogy, and performance of music each year and many are members in some 30 performing ensembles. The College’s Department of Music is housed in the Schaefer Fine Arts Center. The center’s music wing features the 475-seat Jussi Bjorling Recital Hall; a fully computerized music lab for students in music theory, composing/arranging, and class piano; class and rehearsal rooms; 30 private practice rooms; and the Lund Music Library, which contains more than 20,000 music recordings, 45,000 scores and anthologies, a music reference section, and listening equipment. 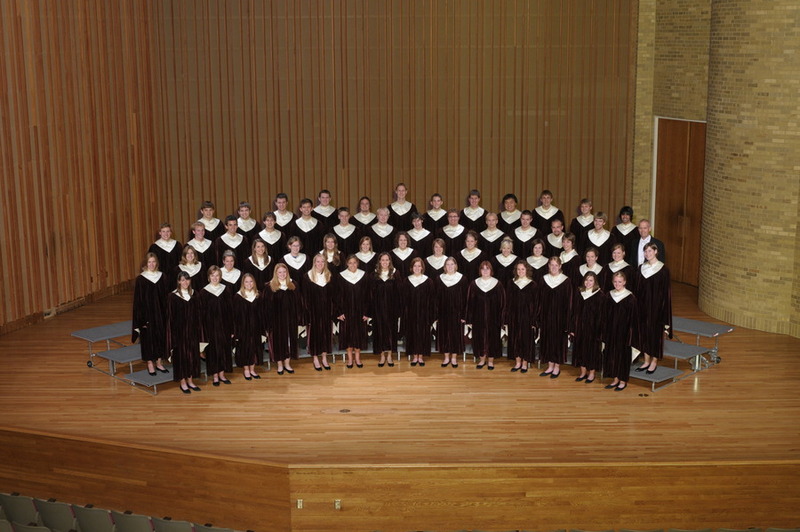 Friday’s Home Concert performance by the Gustavus Choir is free and open to the public. The concert in Christ Chapel begins at 7:30 p.m.